Settled in most beautiful part of the Split, Meje surrounded from one side with forest hill Marjan and from other side facing stunning sea view and sunsets, Natural Experience is offering relax holidays. The Meje apartment is situated in a quiet and exclusive residential area of Split, surrounded by a beautiful park overlooking the Marjan hill area. Villa Rose has apartment with a kitchen, living room, two bedrooms (1A & 1B)(double bed) and bathroom on the ground floor and upstairs there is a large airy room with double and single bed and bathroom. The spacious courtyard is in front of and behind the house . 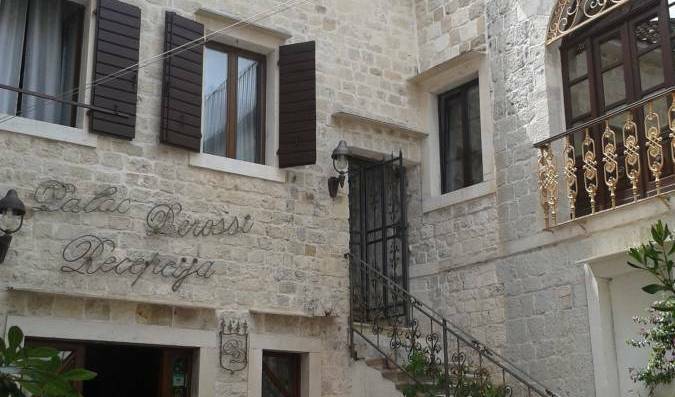 Studio apartment MARGARITA is located in old part of town, only 30 m to the Port of Split sea, in authentic Dalmatian stone house. Our apartments Split are located in favorable locations, mostly in the center or very close to the center, which makes every important sight of Split right at hand. Check this out!!! Best accommodation units in Split, in Center of town !!! It is small stone house in center of town, domestic area, with perfect terace where you can sit and enjoy your summer nights..
"Zara" is located in an attractive and safe location, the Split top centre. We are just 100 meters from the sea side. We can accept maximum 3 grown up persons and extra charge for third person is 15 €, or 2 grown ups with children. Children to 7 years old are not charged extra. Comfy, newly refurbished Milka Apartment in Bajamonti-Deskovic palace, a cultural monument in the very heart of town, provides our guests a glimpse at the history of one of the most beautiful towns of Mediterranean. It is a three (***) star apartment located in the centre of the most beautifull city in the world, Split! All rooms are equipped with Air condition and wireless internet. Apartment is spreaded on 2 floors connected by indoor steps. On the first floor there is sofa bed which streched into double bed, kitchen, bathroom, and by indoor steps comes bedroom with king size bed and sofa bed which can streched into double bed. Both floors has separate aicondition and LCD TV. Bathroom comes with shower. Has 55 m2. Room with the old town view modern decorated and comfortable equipped has king size bed for 2 and sofa bed which can be outstreched into the bed. Has LCD TV, WI FI, bathroom with shower. It is on the mezzanine in private old stone house and has 18 m2. 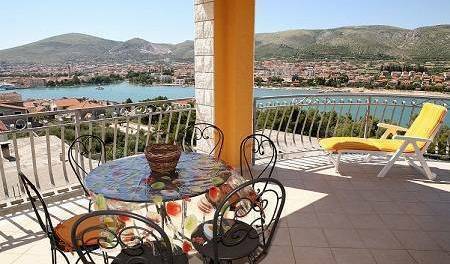 The apartment is located in the very town centre with the view on the main town promenade Marmont and the Croatia National Theatre. 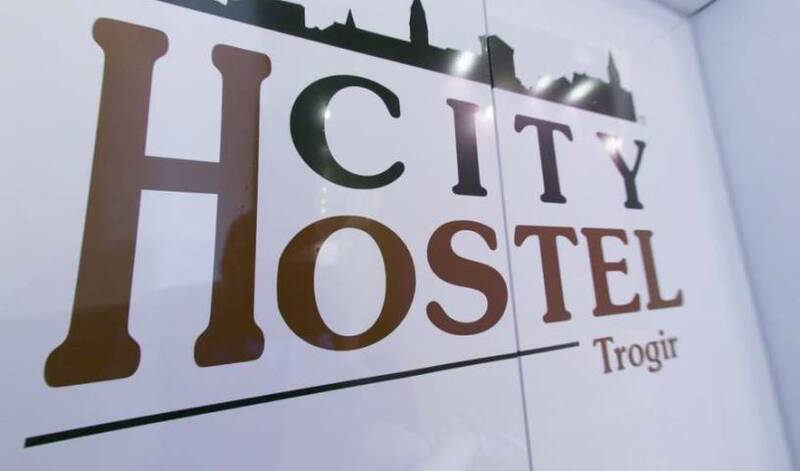 The Tchaikovsky Hostel is a new and fully renovated hostel in town center of Split. This Boutique Hostel with 20 beds offers a pleasant atmosphere in a comfortable surrounding with friendly staff and reasonable room rates. This is our smaller studio for max 2 persons but additional bed can be put for 2 more persons. Only complete studio can be rented. Design Hostel Goli&Bosi is conveniently located right in the center of Split, just a short walk from the Diocletian's palace. Standard double room with a queen size bed. In the city center, near the palace is a small Dalmatian house decorated like a studio apartment ***. If you want an active holiday in the city, enjoy the sun, sea, historic monuments and social events, our apartment is in an ideal location. Welcome to apartment Radan. We are located in very center of town Split, around 50 m from the walls od Diocletian`s palace. Apartments Tin are located in a center of Split, superbly equipped. 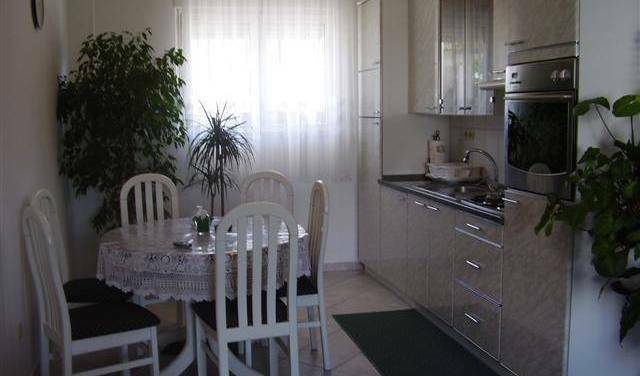 A two bedroom apartment in the center of old town, with a kitchen and other facilities. Situated far from the noisy street but close to everything you need. Welcome to Rooms Inchy we are located in the best location in Split inside the old town Diocletian Palace old 1700 years protected by UNESCO. A nice 2 beds only (dorm) room inside air-condition, heating, wardrobe and TV-cable also linen and towels are free of charge. Apartment Buga and Tuga is located in the center of Split, within the walls 1700 years old Diocletian's palace. Our 5 apartaments are situated in the heart of the old town (Diocletian palace). Beaches, pubs, restaurants, shops, bus and train station, ferry port are just few min. walk away from us. Magnificent historical view to Diocletian Palace the residence of the last Roman ruler. Apartments Split “ Stojanac ” can offer 3 apartments, with 60 m2 of area (3x20m2). 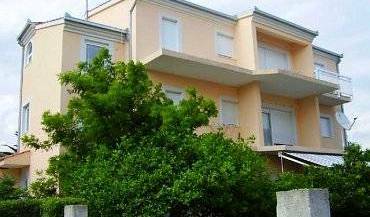 Apartments are situated in the centre of Split, Vukovarska Nr. 5 Street. Each apartment has its own entrance, WC, cable TV, air conditioner. Emanuel is a newly built design hostel situated on the first floor of historic building in the very heart of Split. Apartments at the very center of the old town, at the stone house, with authentic accommodation, recreated in autochthonous style, the old over 100 years. Enterijer in antique style. It is situated in a quiet, authentic Split Street (pedestrian zone). -	Rosmarinus apartment includes double room, kitchen, bathroom with washing maschine, WC and big terace (20 m2 ). -	Lavandula apartment with balcony includes a double bedroom, bathroom with washing mashine and equipped kitchen. All apartments have free Internet wireless access, cable TV and air-condition. - Rubus room with private bathroom. It has free Internet wireless access, cable TV and air-condition. Stonehouse for rent. Набережной дом для аренды. Stenhus i Splits centrum uthyres. Ask for extra beds for children. Your perfect holiday in the house with a memorable sunsets. Nice and cousy apartment in the centre of the town. Apartment is located about 15 minutes by foot from top center. Room has two single beds, air-conditioning, flat screen tv, fridge and free Wi-Fi. It has exit to the private closed garden! Studio Apartment has double bed, air-conditioning, mini-kitchen, fridge, flat screen tv, private bathroom and free Wi-Fi. It has exit to the private closed garden! Apartment has one double bedroom with bathroom, air-conditioning, flat screen tv, free Wi-Fi, toilet, kitchen facilities and sofa bed. Guests can use private closed garden! Studio Apartment has double+single bed, air-conditioning, flat screen tv, mini-kitchen, fridge, private bathroom and free Wi-Fi. It has exit to the private closed garden! Apartment has two bedrooms each one with double+single bed, private bathroom, kitchen facilities, air-conditioning, flat screen tv, sofa and free Wi-Fi. Guests can use private closed garden! Sunny apartment in the heart of Split with a SEA VIEW, near the beach and tennis courts, only 100 m ! Two bedroom apartment with sea view, consisting of: fully equipped kitchen, dinning area, toilet with tub and washing machine. Parking free. Nice and comfortable airconditioned apartments in Split for 2-5 prs. Hostel Toni is a private house with large terraces, balconies and large garden. There is 12 rooms including double bed, triple beds, twin beds rooms. Rooms are located close to the beach and center of the town. The apartments Jagoda is located near the old Split center. It is located near beautiful beaches, like world famous "Bacvice", and historical places like Diocletian's Palace, which was built in 1700. Welcome to Mlade Rooms! We are located near the best location in Split the Diocletian Palace near the old part of city the best attraction named Diocletian Palace. 1700years old a Roman monument protected by UNESCO. The room is for 2 persons. 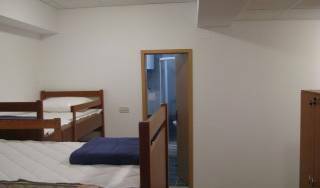 All rooms and dormitories are air conditioned and provide a seating area. The rooms come with a private bathroom, while the guest staying at dormitories have shared bathrooms at their disposal. This is a beautiful apartment located 5 minutes of walk from Žnjan beach, just 20 minutes from city center in a part of town without noise, perfect for relaxing during the summer sun. Art apartman, frendly obiteljski apartman u monedrnoj zgradi na Znjanu u Splitu. Apartment for two persons, it has one room, kitchen, bathroom. It is in the center of the place. It is in the same house with apartment for 5 persons, so it can be booked together. Apartment has three rooms, two double beds, one single room, living room with 2 sofa beds, kitchen, grill, tv satellite. It is 50 m from the sea, in the center Milna. It has 5 beds, but it has 2 sofas so it can be booked for more then 5 persons, and they will pay extra on arrival. Double room has a beautiful sea view and small balcony. It has own bathroom with toiletries and towels. Bed linens and wi-fi are included. It has TV and small fridge in the work desk. Triple room has one double and one single bed. It has own bathroom with toiletries and towels. Bed linens and wi-fi are included. It has TV and small fridge in the work desk. Studio apartment has equipped kitchen and seating area. It has own bathroom with toiletries and towels. Bed linens and wi-fi are included. It has TV and small fridge in the work desk. Pansion RACO is situated 12 km far from Split city on the cost of Adriatic sea. 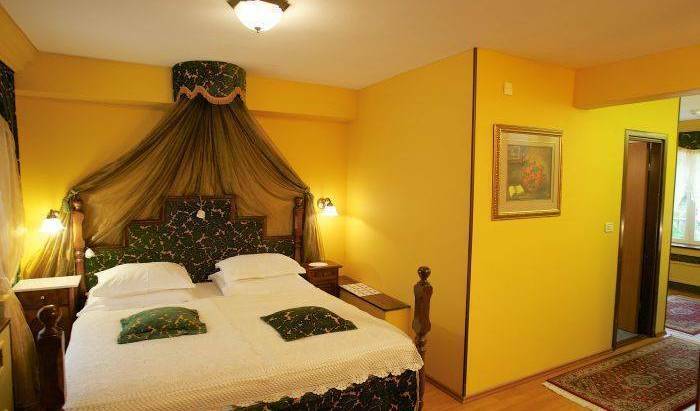 A small family run hotel located in a beautiful vibrant village on the coast of Adriatic sea. Air-conditioned apartment with a double bedroom, kitchen, balcony and a terrace with lateral sea views to Pakleni Islands. The private bathroom is set outside the apartments. No extra beds possible. Room Facilities: Balcony, Sea view, Air Conditioning, Heating, Hardwood/Parquet floors, Bath, Hairdryer, Free toiletries, Toilet, Bathroom, Refrigerator, Kitchen, Dining area, Electric kettle, Kitchenware, Towels/Sheets (extra fee) Meals: There is no meal option with this room. Room Size: 25 m² Bed Size(s): 1 Extra-large double bed(s) (Super-king size), 1 Sofa bed(s). Room Facilities: Garden view, Terrace, Fax, Air Conditioning, Iron, Seating Area, Heating, Interconnected room(s) available, Private entrance, Sofa, Soundproofing, Wardrobe/Closet, Shower, Hairdryer, Free toiletries, Toilet, Bathroom, Kitchenette, Refrigerator, Electric kettle, Kitchenware, Towels/Sheets (extra fee) Meals: There is no meal option with this room. Room Size: 22 m² Bed Size(s): 1 Extra-large double bed(s) (Super-king size), 1 Sofa bed(s). Air conditioning, bedroom, living room with king-size bed, kitchen with big table, balcony with frontal sea view on Pakleni Islands. Please note that the room rate is based on 4 guests. Maximum occupancy is 5 guests (see Hotel Policies). Room Facilities: Balcony, Sea view, TV, Satellite Channels, Air Conditioning, Iron, Seating Area, Washing Machine, Heating, Carpeted, Private entrance, Hardwood/Parquet floors, Shower, Hairdryer, Free toiletries, Toilet, Refrigerator, Dishwasher, Kitchen, Dining area, Electric kettle, Kitchenware, Towels/Sheets (extra fee), Towels, Linen Meals: There is no meal option with this room. Room Size: 53 m² Bed Size(s): 2 Extra-large double bed(s) (Super-king size), 1 Sofa bed(s). Room 4 is room for 2 persons on the first fllor with a sea weay, double bad, private batfroom and posibility to use the kitschen(share with a room 5). Room have terasse-25m2, parking, air-condition, Tv-satelite. internet conaction. Apartment 1 for 2persons have one double bad,, kitschen, batfroom-35m2 and big terasse with a barbaque place-25m2 . Apartment have parking(near to the house Air-conditions, Tv-satelite, internet wirles, fuul eqipied kitschen. St. apartman 3 is apartment for 2 persons. Have room with a double bad, private batfroom, mini kitschen-18m2 and balcony 8m2, air-conditions, Tv-satelite, internet wirles, parking place. Room5 is room for 2 persons on the first fllor with a sea weay, double bad, private batfroom and posibility to use the kitschen(share with a room4). Room have terase-8m2, parking, air-condition, Tv-satelite. internet conaction. Apartment 2 for 4 persons have 2 rooms, batfroom, kitschen-65m2 and terase 16m2, parking, air-condition, Tv-satelite, internet wirles. Single room has one single person bed, ensuite toillet/bathroom and some of these rooms have small private balconies on front seaside position.